Sparkle Me Pink: Cascade Platinum : Does This Stuff REALLY Work ? 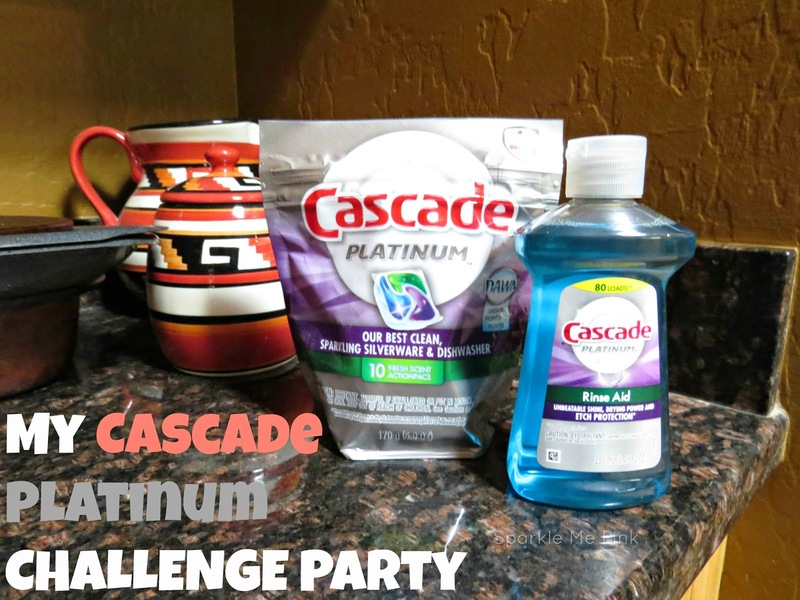 Cascade Platinum : Does This Stuff REALLY Work ? Other than laundry, cleaning dishes has to be my least favorite chore. My kiddos aren't old enough to help out ( effectively) quite yet so I either have to wash them by hand or throw them in the dishwasher and cross my fingers that they will come out clean. 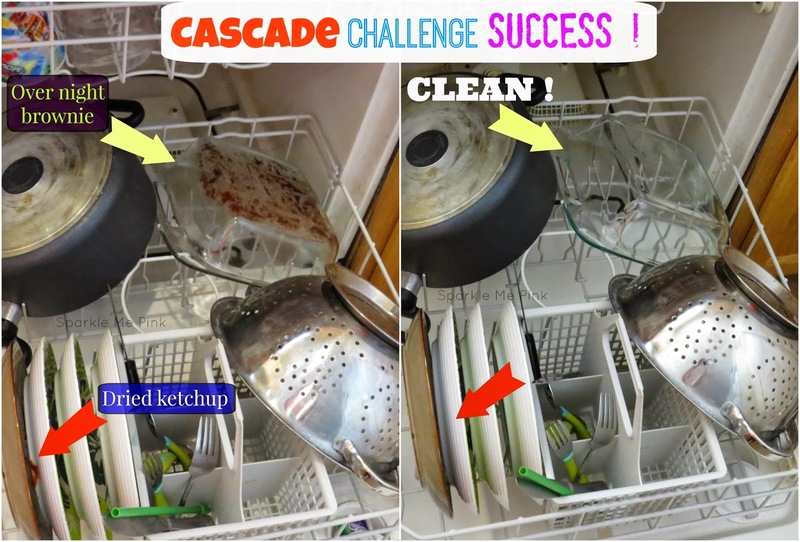 I thought I had found a detergent that was doing a good job of cleaning the dishes in the dishwasher - that was until I was challenged to try the NEW Cascade Platinum pacs. Before trying these Cascade pacs I thought they were all basically the same. That they would all provide the same results. Boy was I wrong ! Since accepting the Cascade Platinum challenge I have educated myself on the art of dish washer washing. In short, there is a lot of mis-information out there! 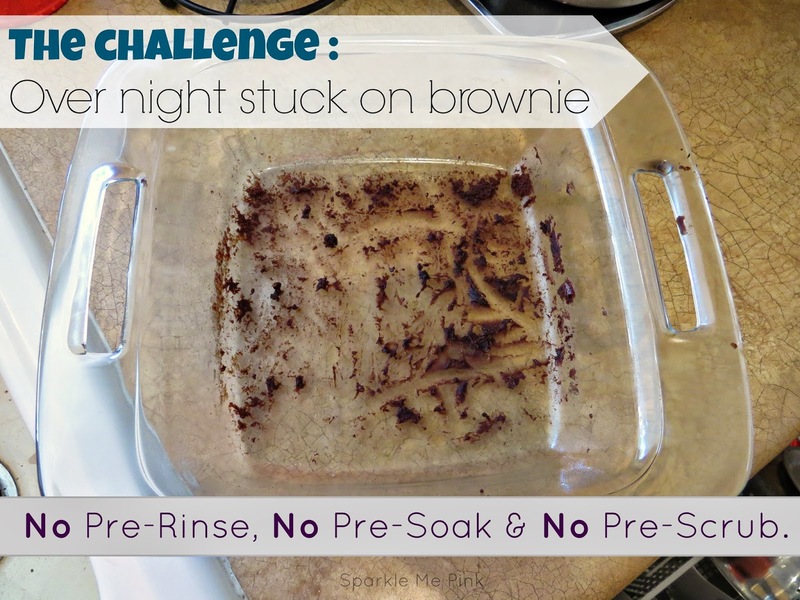 One being that you must rinse or soak your soiled dishes before loading them into the dishwasher. It just makes sense to rinse away as much residue as possible, right ? Wrong ! On the contrary Cascade Platinum has special enzymes that latch onto the left behind food, breaking it down so it can wash away. If there’s no food soil, there’s nothing for the enzymes to attach to and the detergent won't be doing its best job on your dishes. In lieu of any pre-washing, simply toss the large bits of food into the trash or garbage disposal and then stop there. No need to run anything under the water. Just load into the dishwasher. 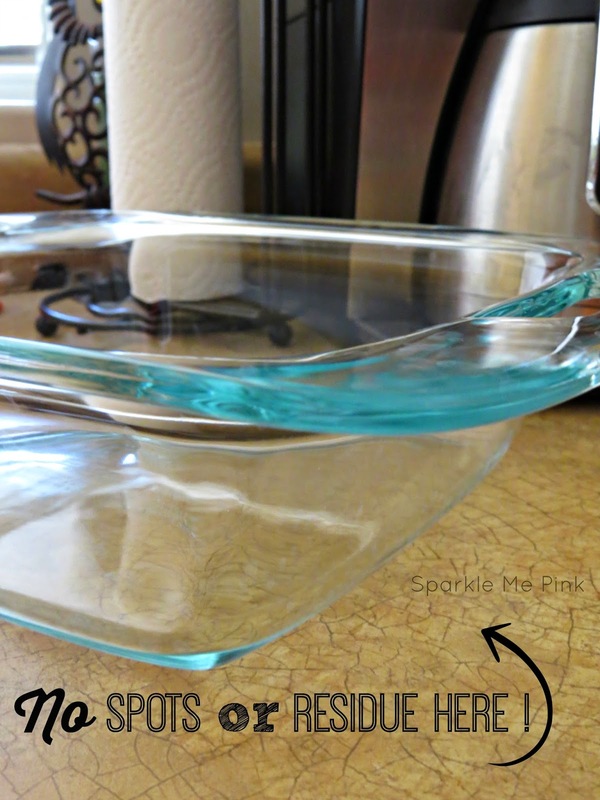 This is a major step or lack there of for me and definitely a time-saver. By the way, don’t worry about the bits of food that are left on the dishes damaging your machine or pipes. Few people know (I know I didn't) that there is a garbage disposal built into the bottom of almost all dishwashers! That disposal works exactly like the disposal in your sink. Even more, Cascade Platinum even works on 24-hour stuck-on food! 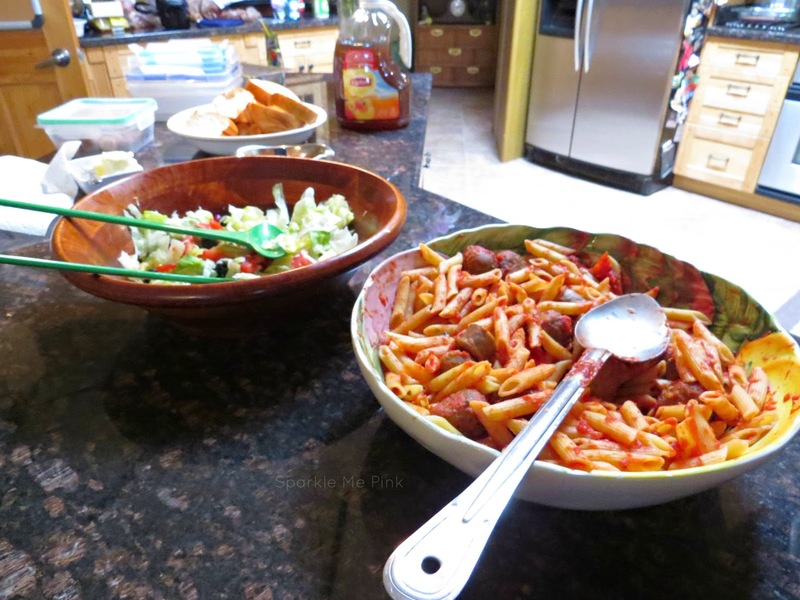 Every Sunday we have a big family Italian dinner. Our 4 - 5 families come together each week to eat, hang out and watch football. 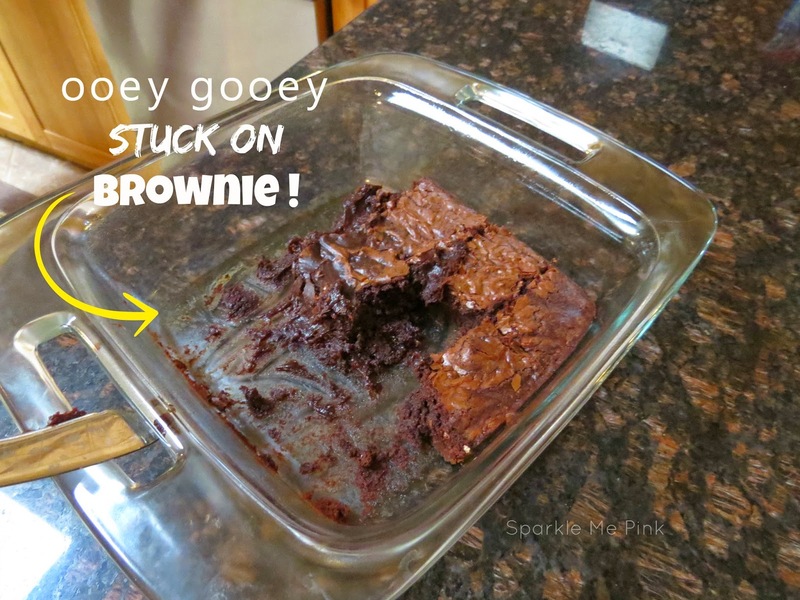 This week I decided to bake some brownies for dessert in a glass Pyrex pan on Sarurday evening. Even with a glaze of spray butter the ooey gooey brownies stuck to the bottom of the pan when I started to remove them to a serving tray. I scrapped a bit of the chunks that were left behind but other than that left the pan as is on the counter without pre-washing, pre-scrubing or pre-soaking it. On Sunday I brought my dirty dish with me to dinner, everyone thought I was just being silly, and put the pan face down in the bottom rack of the dishwasher. I plopped a Cascade Platinum pac in the dishwasher dispenser and made sure the machine was filled with Cascade Platinum Rinse Aid. By the end of dinner the dishwasher cycles had completed and I opened the dishwasher to find a sparkling clean, brand new looking Purex pan ! These tablets are no joke ! It even removed dried on ketchup !! 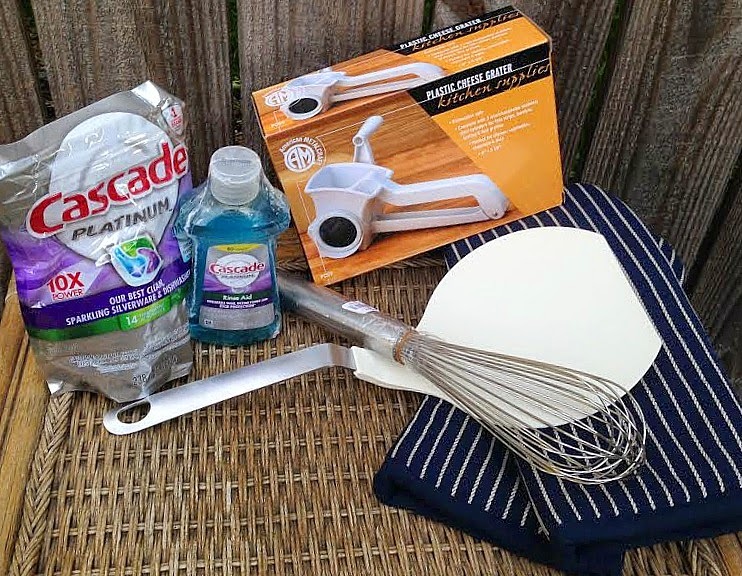 The whole family and myself were pretty impressed by the cleaning power of Cascade Platinum. Comment below and tell me if you have tried these pacs yet. ALSO feel free to enter the Rafflecopter below for your chance to WIN an amazing Cascade Platinum Prize Pack! I use the dishwasher most of the time. I actually prefer to hand wash for some reason. I absolutely HATE loading and unloading the dishwasher. I leave that for my dude to do. I wash in the dishwasher but usually do pots and pans by hand since they take up so much space in the dishwasher. Can't wait to see this stuff in action. I tend to use the dishwasher, but there are some items that have to be handwashed. I love my dishwasher! But I tend to wash my sons cups by hand. Our dishwasher is a life saver. Big household equals lots of dishes. I wash in the dishwasher! I have dishdrawers and love them! Makes me so sad that we don't have a dishwasher in our apt. Those Cascade packets kick trash!! We handwash some of our pots & pans, but just about everything else goes in the dishwasher. Thanks for the chance! I use my dishwasher 95% of the time. I hand wash most pots and pans.